While on holiday in Hong Kong (February 2016), I got to train at Santichai Or. 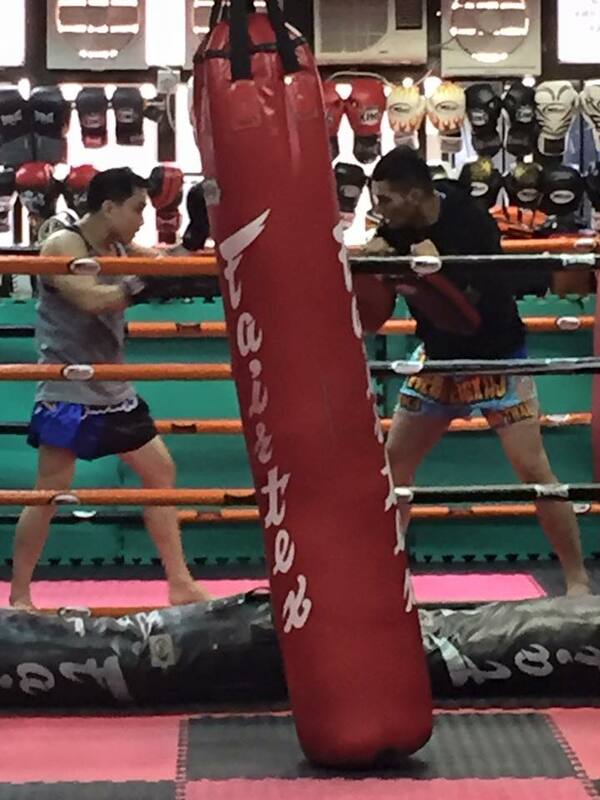 Boonchuay’s (a former world champion with over 200 fights) facility. Right in the heart of Mong Kok, the gym is a hop, skip, and jump away from the MTR station. Having trained a wee bit in Thailand, I thought I knew what to expect. I would say that Santichai Fitness, despite being a Thai gym, geared more towards the fitness and conditioning market, a niche that it is serving quite well in Hong Kong. As I enjoyed the class’s new pace, the boran drills courtesy of kru Santichai (He has a gift of teaching, a natural at breaking down complex stuff into simpler integers, and imparting knowledge in a fun manner. ), hitting pads with a Thai kru (of course), and having kru Santichai himself get me through a round of jumping knees on the bag, my gut is still partial to the unabridged Thailand version.